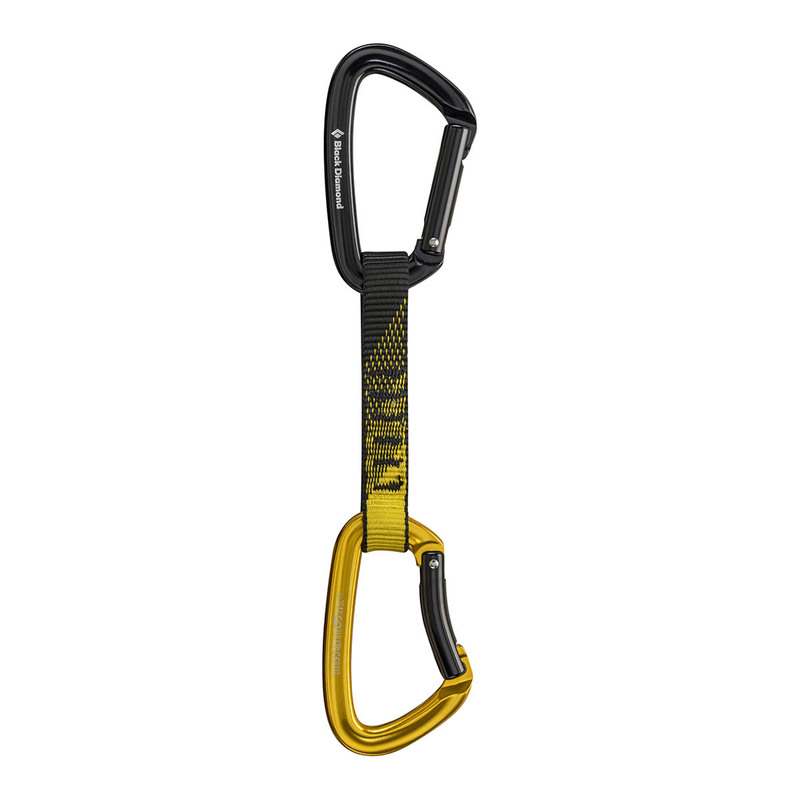 The Black Diamond Positron quickdraw is ideally suited to climbers on a budget who want a solid all-round quickdraw with a clean nose design for easy unclipping thanks to the keylock design on both top and bottom biners. The Black Diamond Positron quickdraw includes a bentgate Positron carabiner for easy clipping and a straight gate Positron carabiner on top for strength and dependability. The dogbone is made from a durable yet light 18mm polyester and features an integrated Straightjacket insert that keeps the bottom 'biner properly positioned. Straight-gate Positron carabiner on top for strength and dependability. The keylock gate uses the geometry of the pocket of the gate to interface with the 'nose' of the carabiner to provide its strength when the gate is closed. The advantage of this design is that it alleviates the chance of the hooked part of the carabiner to get hung up on something (like a bolt hanger, Stopper wire or sling). Nose hooked carabiners are surprisingly weak, and it's by far the most common scenario for carabiner failure in the field.